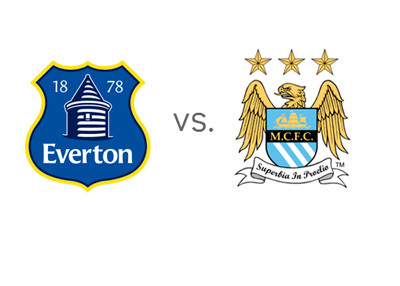 Manchester City visit Goodison Park on Saturday, May 3rd, 2014 with the aim of overcoming a very strong Everton side, on their quest to win the English Premier League title. Everton lost to City only once at home in the last eleven years. Earlier in the season, at the Etihad Stadium, Manchester City won with the score of 3-1, after the Toffees initially took the lead. Everton are fifth in the EPL tables and have more or less secured Europa League football next season. Roberto Martinez's side most recently lost to Southampton 0-2 away, after beating Manchester United 2-0 at home. Manchester City are third in the EPL standings, three points behind Liverpool and one point behind Chelsea. Man City have a game in hand and the superior goal differential. If City can win their next three games, they will most likely win the league. Yaya Toure and his teammates won their last two games vs. West Brom 3-1 at home and Crystal Palace 0-2 away. The guests are the big favourites to win this match according to the odds. On Saturday, Everton will have to do without Kevin Mirallas who is nursing an injury and Gareth Barry, who is on loan from City. Manuel Pellegrini, on the other hand, has nearly a full squad at his disposal. Jesus Navas and David Silva are under a question mark. Sergio Aguero is the favourite to score for City at 10/11, while Romelu Lukaku is the favourite to score for the Toffees at 7/4.